One of my favourite seasonal treats from the forest garden is the hostas. No, no spelling mistake: hostas are really edible. In fact, they are a near perfect forest garden crop. Woodland is the natural habitat of many hosta species, so they like moist soil with plenty of organic matter and tolerate a considerable amount of shade. A friend tells me that they have a positive allelopathic relationship (i.e. they secrete chemicals that help each other) with apples, and since the research on it is published in Russian I’ll have to take her word for it. 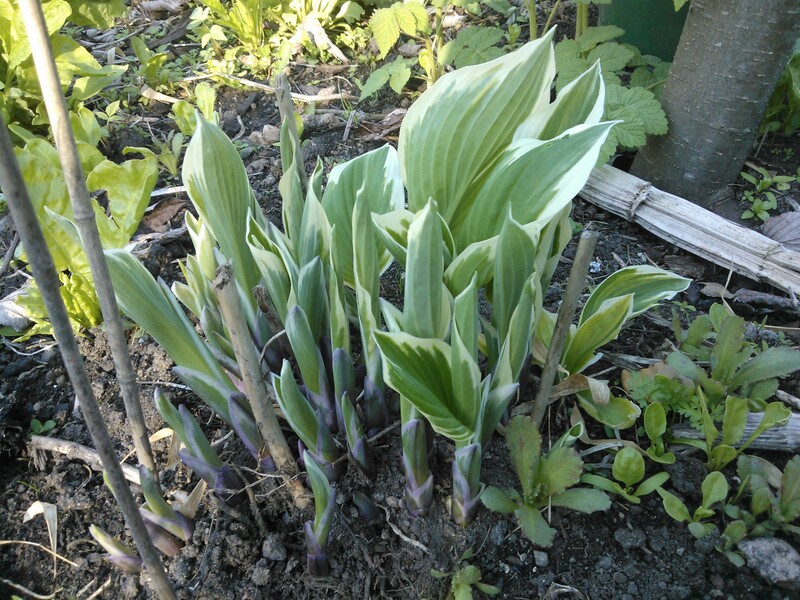 Hostas are no novelty nibble: they have the potential to be a major productive vegetable.